Mining Companies Polluted Western Waters. Now Taxpayers Have to Pay for the Clean Up. Pegasus Gold Corp., a Canadian company that owned that mine and several others in the state, went bankrupt and folded 20 years ago. That left a legacy of water pollution and a cleanup bill nearing $100 million—with no end in sight. 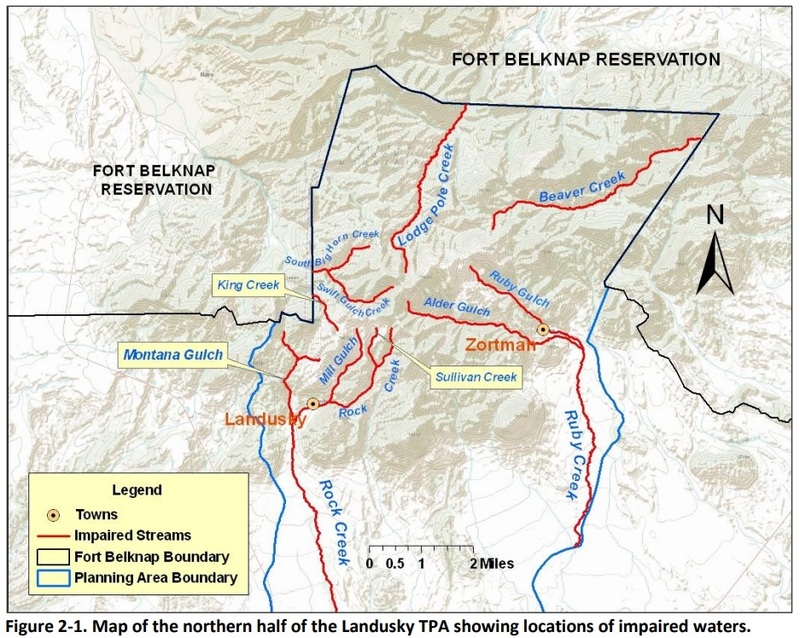 A map published in 2012 by Montana regulators shows the locations of polluted streams around the Zortman-Landusky mine’s pits. While Pegasus set money aside for reclamation as legally obligated, it proved to be tens of millions of dollars less than the bill so far. Taxpayers remain on the hook for the shortfall. Every year, the state spends up to $2 million to contain water pollution at Zortman-Landusky—on top of what the cleanup already cost. It’s difficult to put an exact number on the nationwide funding shortfall for hardrock mine cleanup. Each state manages its mining industry differently, and many don’t maintain a database of reclamation bonds—the funds meant to guarantee that cleanup costs are covered if a company walks away from its mine. Jim Kuipers, who runs a mining consulting firm in Montana, researches mine closure and previously studied reclamation for the US Environmental Protection Agency. He estimated, in a 2003 report by the Center for Science in Public Participation, that there was between $1 billion and $12 billion in unfunded cleanup liability at the country’s hardrock mines. An Earthworks report studying the mines responsible for 93 percent of US gold production in 2013 found every site had at least one pipeline spill, such as diesel fuel or dangerous cyanide solutions used in gold processing. About three-quarters of the mines also harmed nearby groundwater or surface water, “including impacts to drinking water supplies for residential homes and businesses, loss of fish and wildlife habitat, and fish kills.” An estimated 50 million gallons of water polluted with toxic metals still flows from the country’s hardrock mines daily, the Associated Press revealed in February. The area around Zortman-Landusky was carved out of the reservation by the Grinnell Agreement in 1895. The US government, which commissioned a trio of explorers to negotiate on its behalf, agreed to pay the tribes on the reservation $360,000—the equivalent of about $11 million today — in return for more than 40,000 acres known to be rich with minerals. 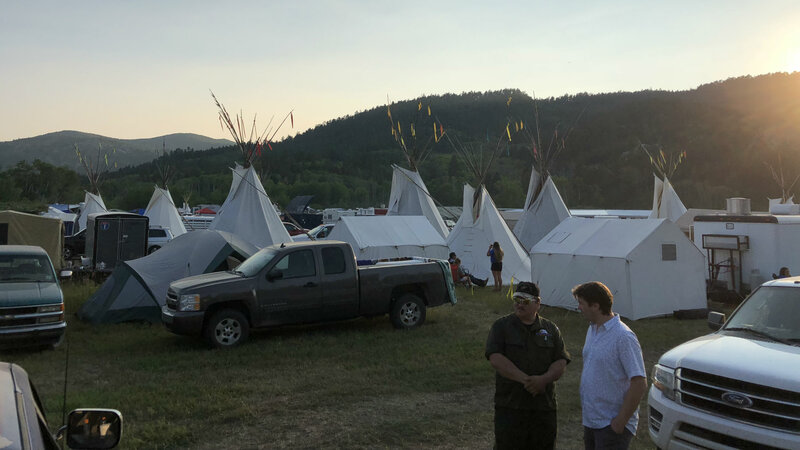 Contaminated water also flows past the powwow and Sundance grounds used for community and spiritual gatherings. Tribal members gather for community events at the Fort Belknap Indian Community. Polluted mine water has migrated into nearby streams. Last year—in a shift in oversight—Montana invoked its 1989 “bad actor” statute in relation to the cleanup woes. The case is working its way through the courts, but it could bar Hecla Mining Company, a large player in the silver and gold sectors, from operating in Montana because its CEO, Phillips S. Baker Jr., was an executive at Pegasus in the 1990s. Baker also chairs the board of the National Mining Association. In November, Montana voters considered a ballot measure prohibiting the state from permitting new mines if the companies disclosed that they expected the sites to pollute water indefinitely, even after cleanup. An Alaskan measure aimed to create new protections for salmon-spawning streams, a move that would restrict—perhaps halt—the permitting of large new mines. Unlike with coal mining, which is also underfunded for proper cleanup, no central law or single federal agency oversees hardrock reclamation. A patchwork of state and federal legislation, beginning with a law barely updated since its passage in 1872, regulates hardrock mine closure. The Bureau of Land Management, the US Forest Service and state regulators oversee a system of governance unique to each state, managed by often-outdated memorandums of understanding. Ann Maest, a mining consultant who often works on contract for government agencies and environmental advocacy organizations, researches the impacts of resource extraction on water. To secure permits, mining companies frequently underestimate their potential for long-term water pollution, she said, which leads to insufficient bonds. Because regulators don’t call on bonds until a company is in dire straits, experts say these guarantees are effectively worthless. “In Arizona, I’d have a hard time suggesting that if a company goes bankrupt, anybody should expect anything more than zero,” said Kuipers, the mining consultant. Other states may be moving away from self-assurances. New Mexico’s legislature is considering a bill that would close a loophole left by earlier efforts to stop the practice. Legislation that its supporters believe will be signed into law this year in Colorado would also institute a ban on self-bonds—and strictly limit when permits can be issued for mines expected to pollute water indefinitely. He highlighted two gold mines, one in Colorado and the other in South Dakota—which each fell to the Superfund program—as emblematic of the failure to properly calculate bonds. “In both of those cases, the reclamation bonds didn’t even come close to addressing the cost of cleanup,” he said. The Center for Public Integrity is a nonprofit, nonpartisan investigative news organization in Washington, DC.